On Saturday I attended "Getting Your Piece of the Publishing Pie", an all day conference put on by the St. Louis Publishers Association. The point of the meeting was to help us publish smarter and more profitably. Who doesn't want to do that? I found the day to be chock full of helpful information. Lucky for me, my husband got me an iPad for my birthday recently, and I was able to take all my notes on it. Plus tweet while the conference was taking place! For once I felt like the cool kid in class! First up for the day via Skype was Mark Coker, founder of the highly successful e-book publisher Smashwords. Mark spoke at Publishers University in May, and I was excited to hear from him again. He did not disappoint. Mark shared that 33-40% of all e-books are read on a computer, and 8% of all book sales in 2010 are e-books. He said that e-books are consumed differently than p-books, so we need to think about that as we design our books. On pricing of e-books, Mark suggested that we price them lower than print books but not too low. Pricing them too high encourages piracy. In summation, Mark stressed that the power of publishing is shifting to the authors and small publishers. Indie e-books are the equalizer. Marion Gropen of Gropen Associates spoke next about the need to build a budget for your publishing company. An interesting concept she brought up is that we should be paying ourselves as a publisher separately from paying ourselves as an author. There is a cost to your time when you function as a publisher because then you are not writing. For the luncheon panel, Davis Scott of McNaughton & Gunn printing company offered advice on preparing your books for the printer, while Sue Sylvia of Staircase Press and Christine Frank of Christine Frank & Associates discussed book design and editing. Lois Mans of Big Ideas Studio talked about the creative ways she has marketed books, including book events and novelty items they sell which tie into the books. The final speaker of the day was Plumb Web Solutions Deltina Hay, covering all aspects of the social web. Some of the areas were ones we all tend to think of, such as blogs, social networking sites, and micro blogging, but she also delved into social calendars, social pages and hybrid sites. The goal of utilizing all of these areas is to increase your reach on the Internet. It is about relationships and building trust with your potential market. She had so much great information that my head was spinning by the time her two hours was up. I purchased her book, A Survival Guide to Social Media and Web 2.0 Optimization, and can't wait to dive into it. All in all, the conference was great and I learned a lot of new information. But another benefit of the meeting was not on the itinerary. And that was the opportunity to network with others in the publishing industry. We are lucky that in St. Louis we have a community of individuals so willing to share their experiences and expertise with others. And that is something you can't put a price tag on. 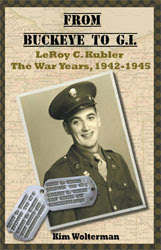 I am still awaiting the second review of my dad's book. I emailed my hump pilot veteran just to make sure that he had indeed received the book in the mail. He quickly emailed back that he did receive it, but that he has been traveling and hasn't had a chance to look at it yet. I'm not sure when he'll get to it, but at this point I am really not in any hurry. I've been thinking that I may want to time the release of the book to a particular military event anyway, like the bombing of Pearl Harbor. Obviously I missed the boat (ha, ha) for having it ready in time for this Veteran's Day. On an unrelated topic, I have Google Alerts set up to notify me any time something having to do with house history research is published on the web. 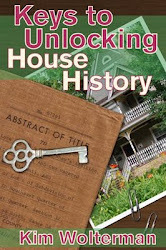 Yesterday and today I received a lot of hits, and a number of the articles concerned organizing your house history research. As that is a topic which is covered both in my book and in an ezinearticles.com article that I wrote, I was interested in what this author had to say. Imagine my surprise when I clicked on the first article and found my ezine article quoted nearly verbatim! As it turns out, all of these articles had the same lady's name as author. So tonight I have been systematically going to each website where the article appears and leaving first a comment to the "author" to cease and desist, and then a second comment to the host of the website telling them to either take the article down or give credit to me as the original author of the article. Of course she has no website of her own or contact information listed so that I can communicate with her directly. She has a long list of articles she has supposedly written, and I can't help but wonder if she stole all of the others as well. I can't believe the audacity of some people!